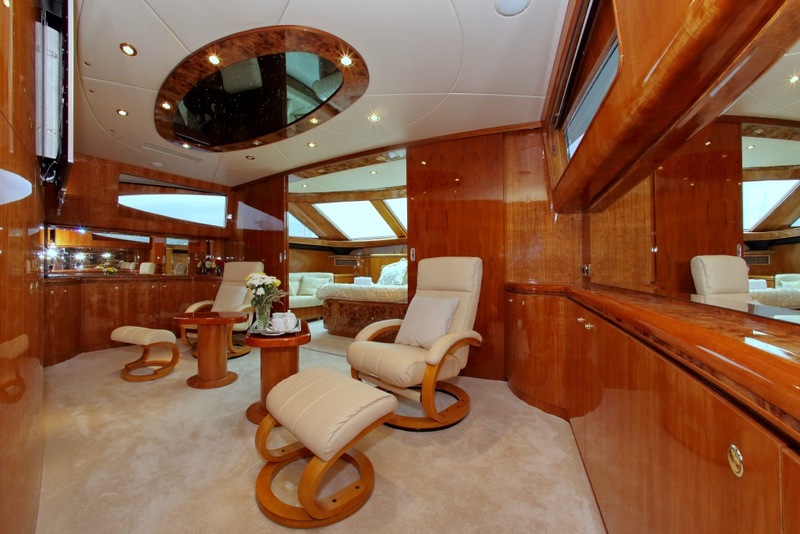 Motor yacht LADY MARCELLE was built in Horizon Yachts in 2003 and measures 27m (88.7ft) in length. 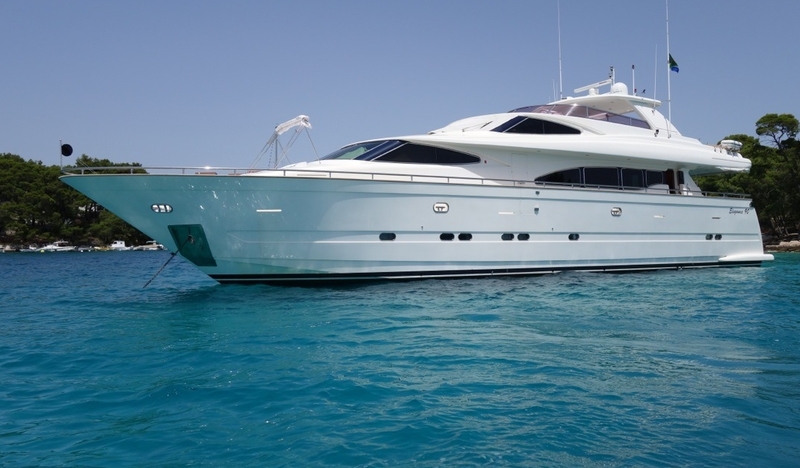 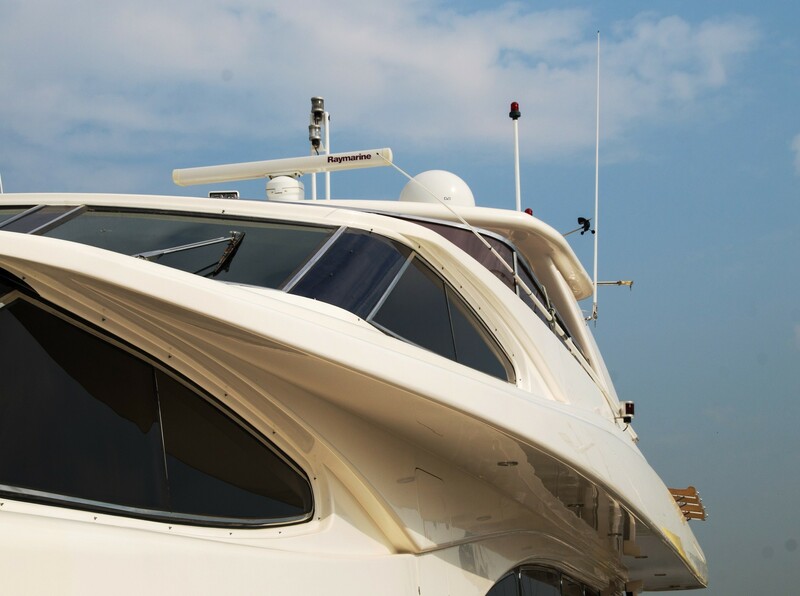 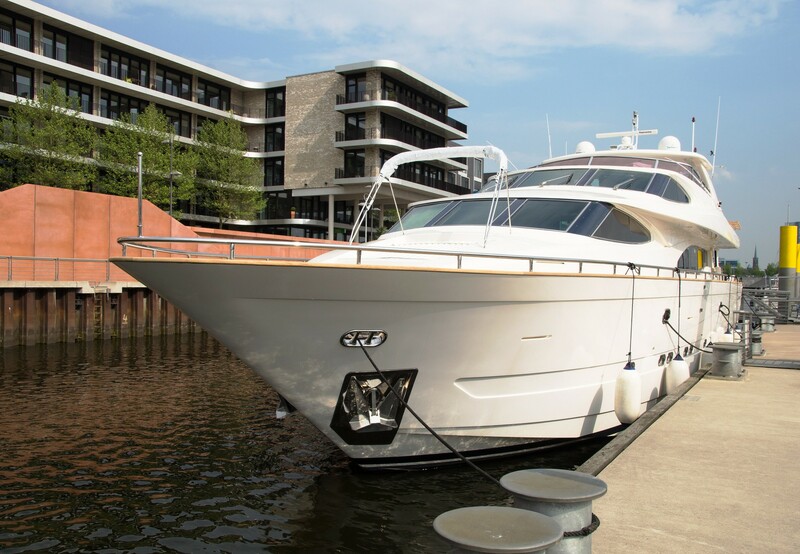 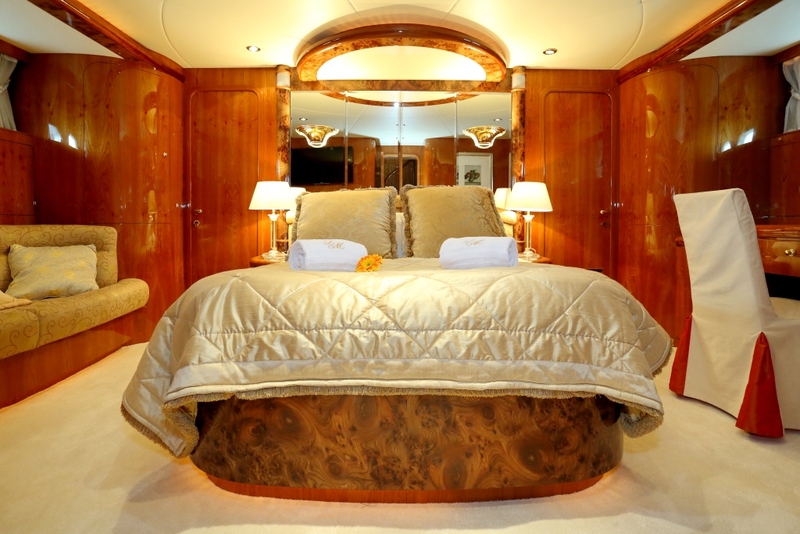 The LADY MARCELLE motor yacht can accommodate up to 8 charter guests, in 4 well-appointed en-suite cabins, she boasts a professional crew of 4, to ensure a most memorable luxury yacht charter experience. 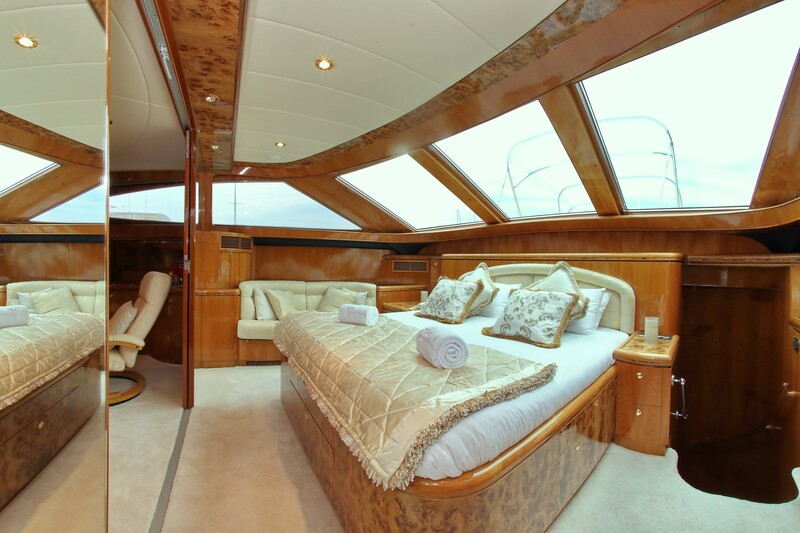 LADY MARCELLE has a contemporary warm interior décor, featuring traditional wood joinery, burl woods, neutral soft furnishings and panels and plush light cream carpets. 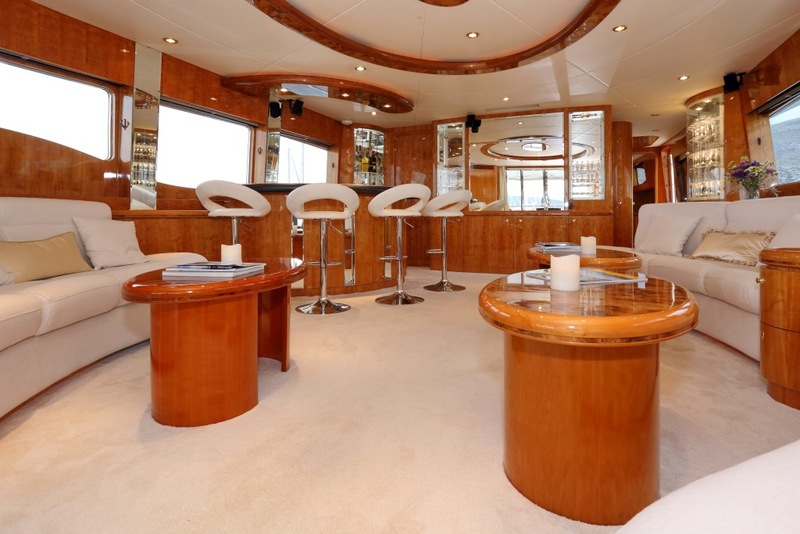 The salon offers 2 generous sofas with coffee tables on port and starboard, a complete wet bar with stool seating and panoramic windows, boasting optimum natural light and spectacular views. 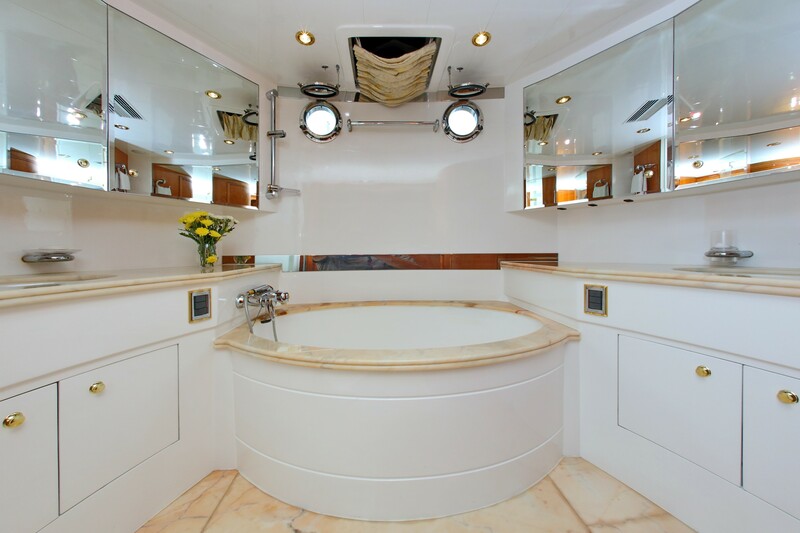 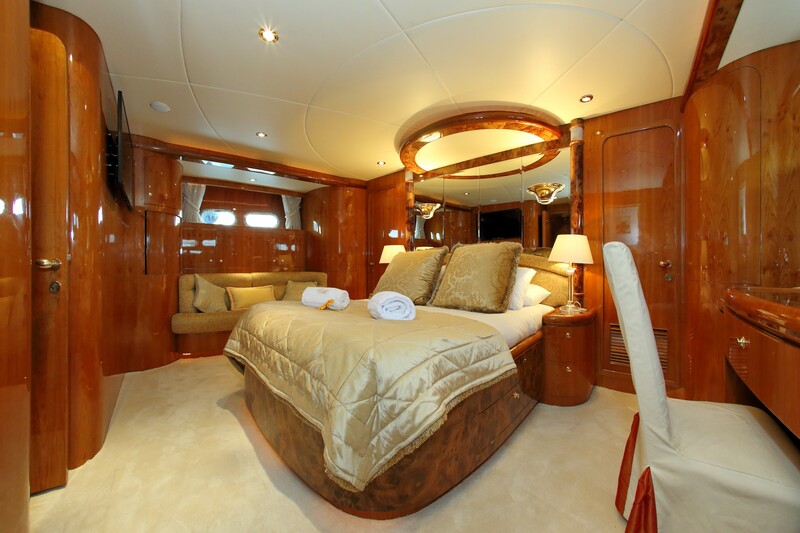 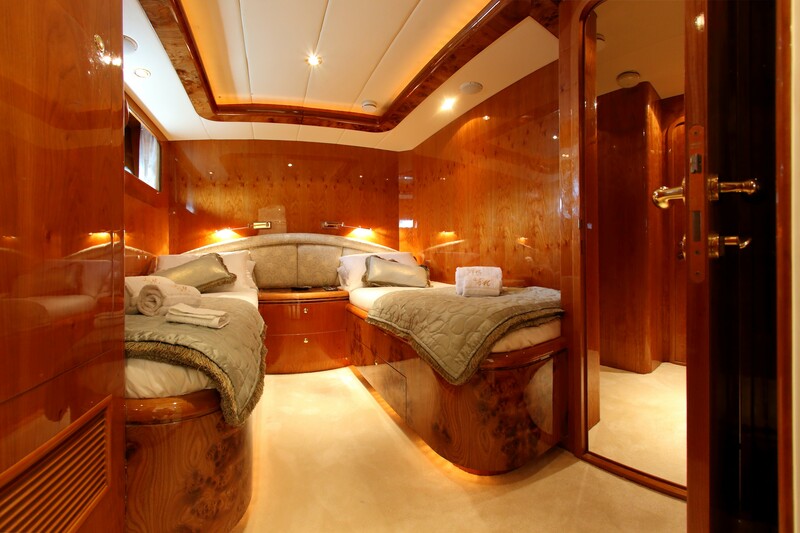 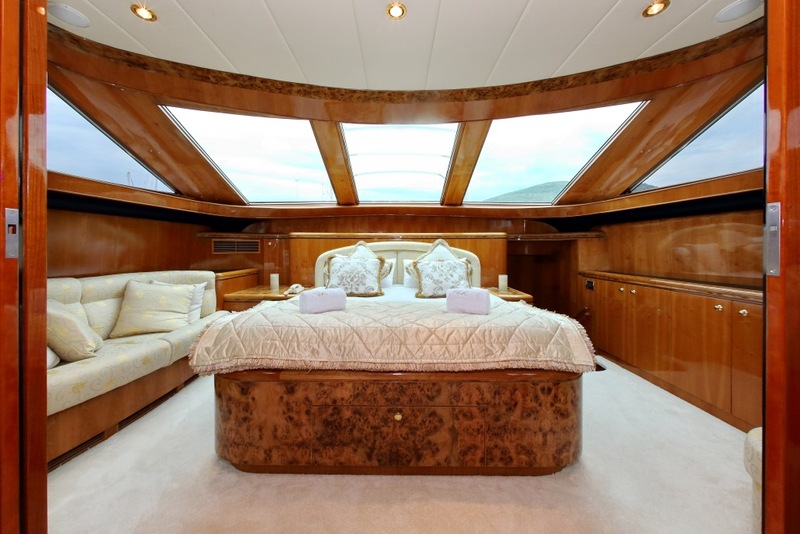 On the main deck forward of the salon, is the full beam master cabin, master lounge and impressive master en-suite. 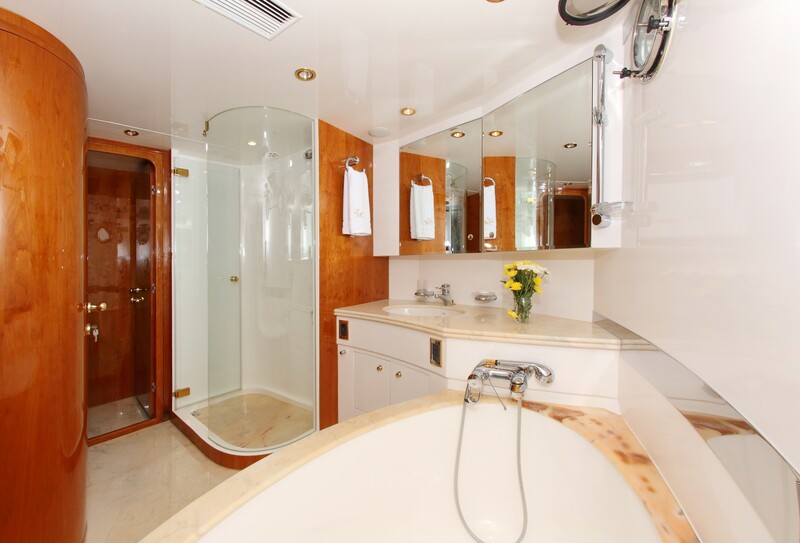 On the lower deck is the full beam VIP cabin and 2 guest twin cabins, each with private en-suite facilities. 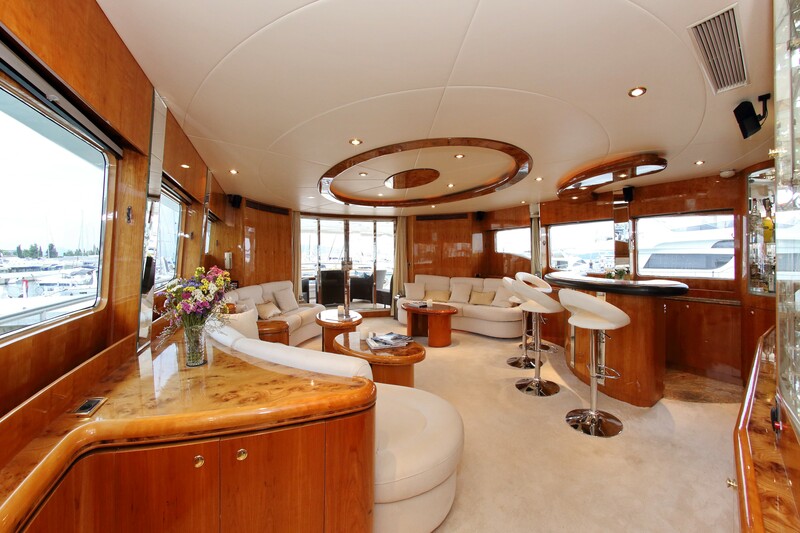 M/Y LADY MARCELLE’s exterior living areas are plentiful, whether guests wish to relax or entertain. From the salon, sliding glass doors open out onto the shaded aft deck and alfresco dining area with exterior lounge seating. 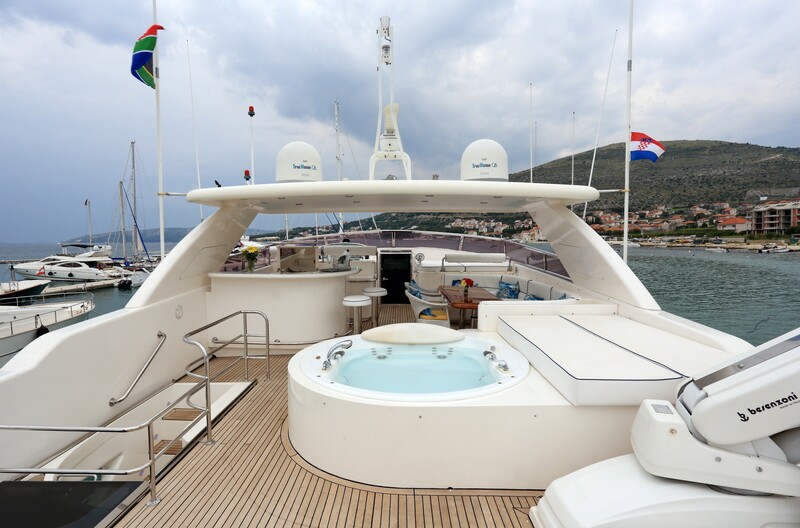 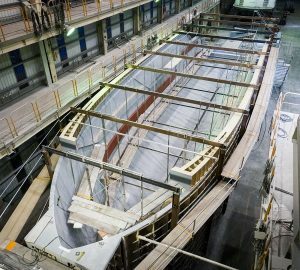 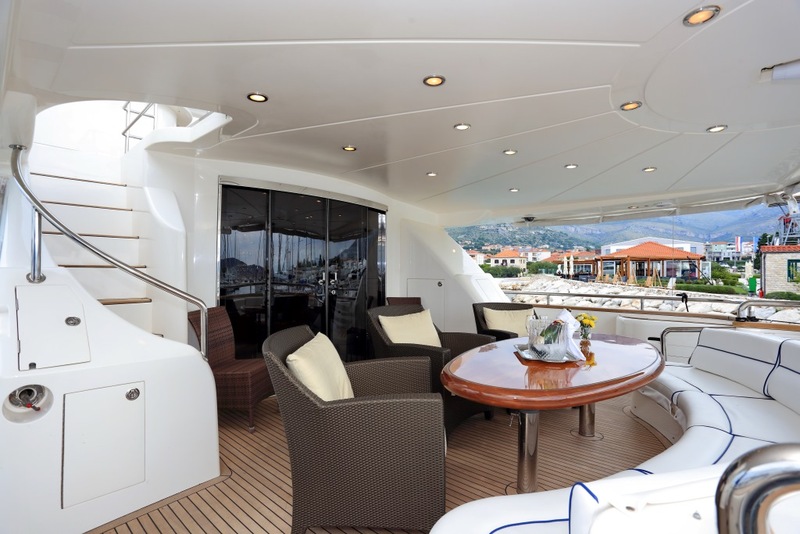 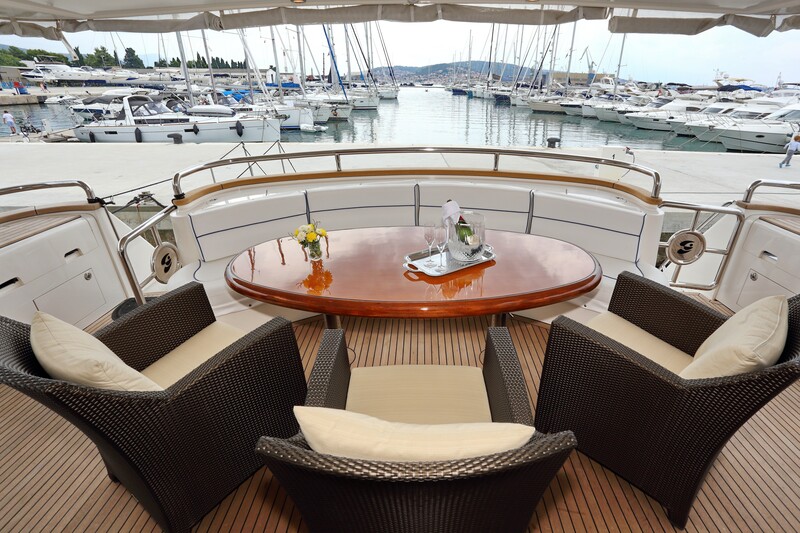 360° wrap around decks lead to the foredeck and an intimate sunning area. 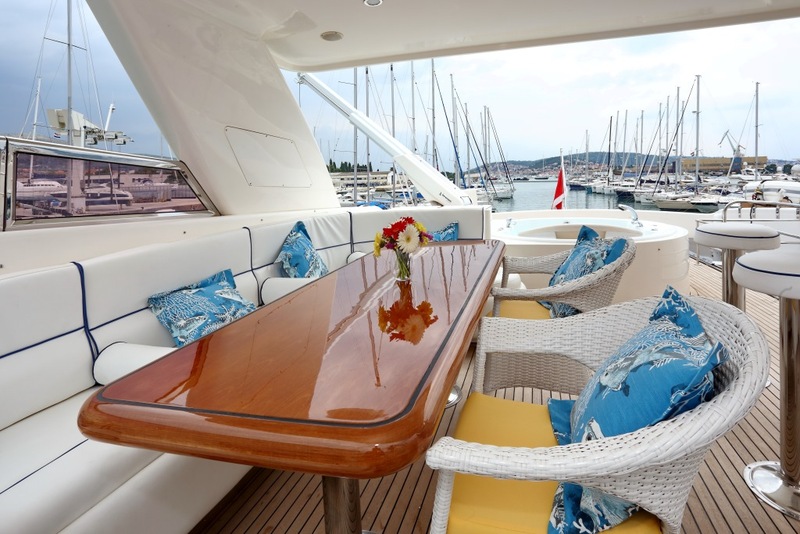 The Horizon charter yacht LADY MARCELLE features a fabulous flybridge, perfect for socializing, offering an alfresco dining option, additional seating, sunpads, deluxe Jacuzzi tub and partial shade. 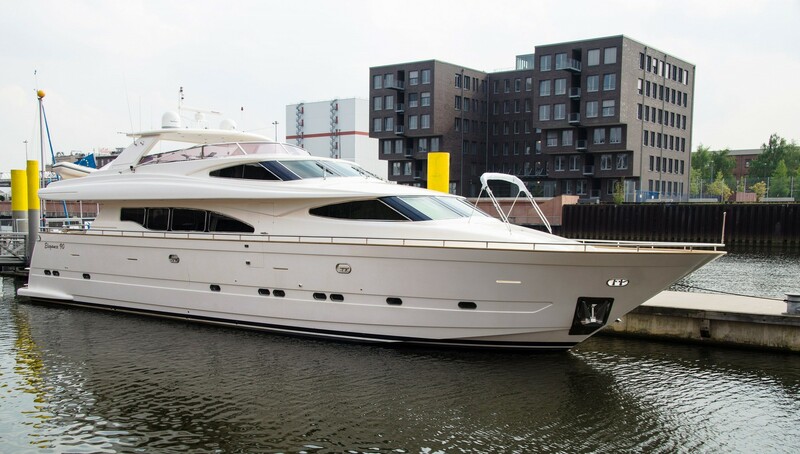 Powered by 2 x MTU 1500hp engines, motor yacht LADY MARCELLE cruises at 11 knots and can reach top speeds of 17 knots.